Two months ago, I transplanted a few tomatoes I had started from seed in the house in late January. 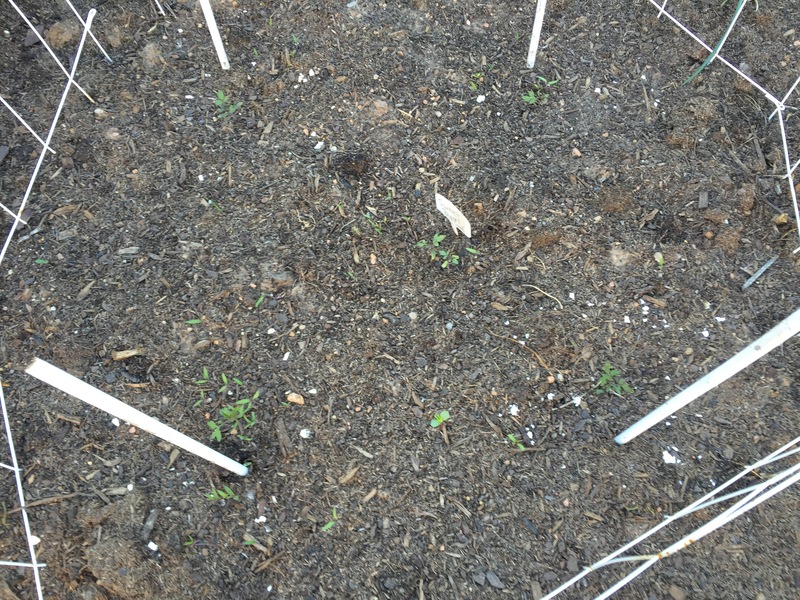 For good measure, I tossed a few more seeds in the dirt from the open packets. Why not, I thought. The extra seeds would just get thrown away at the end of the summer anyway, right? If too many came up, I’d just thin them out and throw a few away. No harm, no foul. Except that I forgot something. I have a hard time throwing away any extra seedlings, even when I know I have too many for the garden space I have. 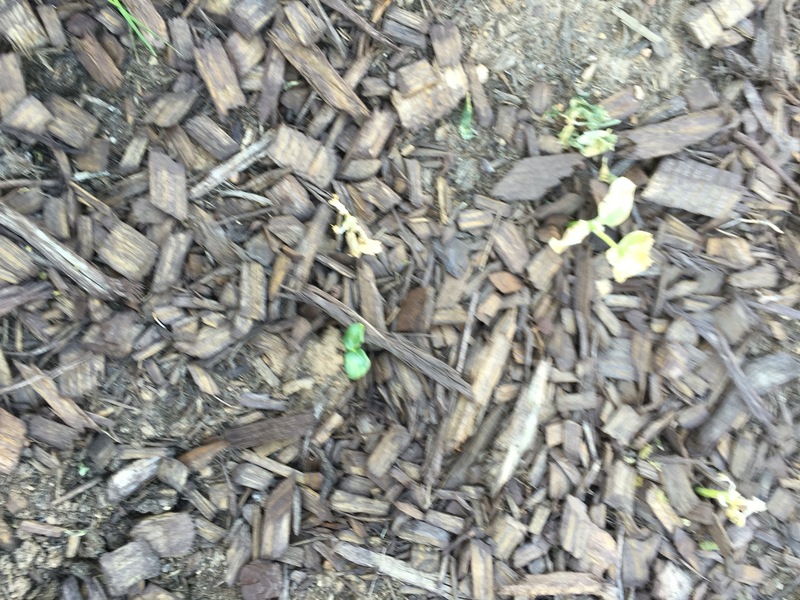 A month later–two weeks after the last average frost date for our area–we had an early morning frost that wiped out most of my cucumbers. Not the tomatoes though. While a few of my bigger transplants in another bed sustained a few frost-bitten leaves, the tomatoes planted from seed pulled through with flying colors. See what I mean? 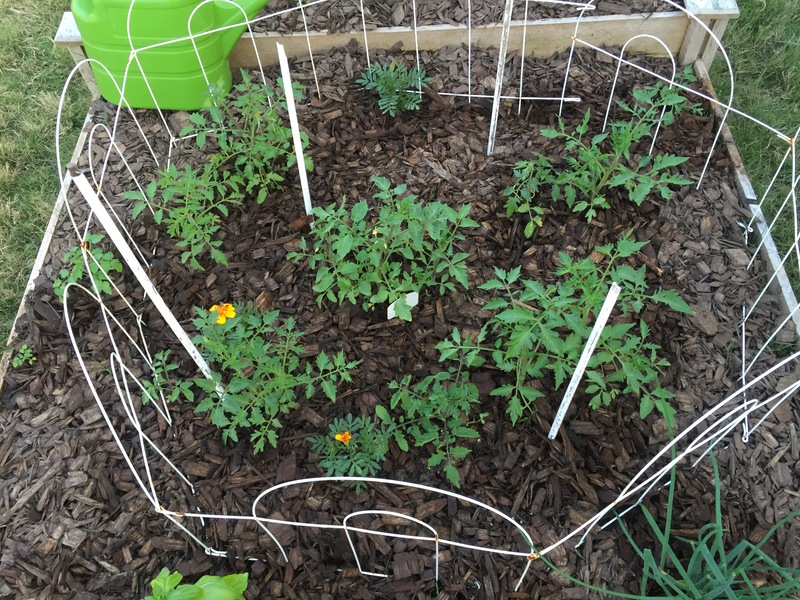 Yeah, there are a few marigolds mixed in there, but most of what you see in the above photo is tomato plants. At one point I counted at least 14. In a 4-foot by 4-foot bed. By early April, they were getting pretty big and it was obvious I had to do something. They couldn’t all stay in one bed. But I didn’t have the heart to just toss some of them either. So I took about a half-dozen of them and transplanted them in the bed where the cucumbers were before all but one froze. 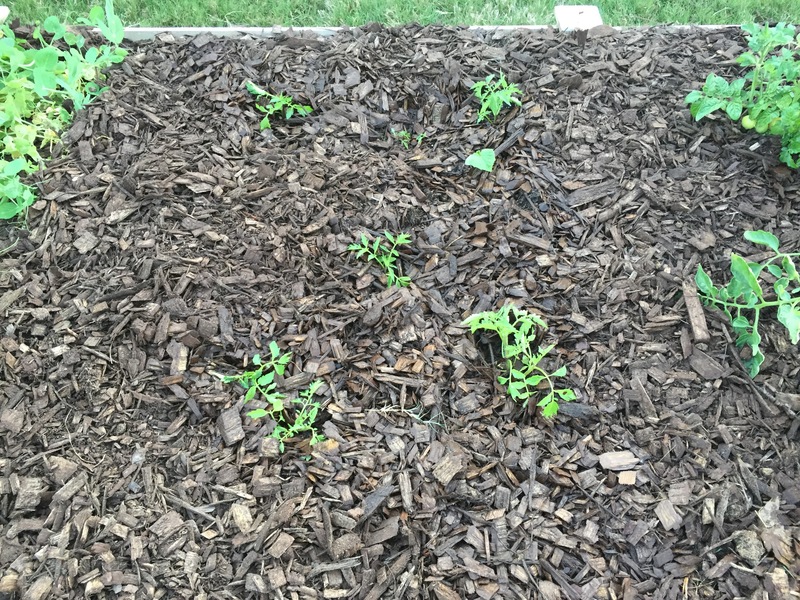 There still were (are) a lot of tomato plants in the bed where I originally planted a few seedlings and seeds. And of course, as they grow, they get more crowded. But what’s a girl to do? 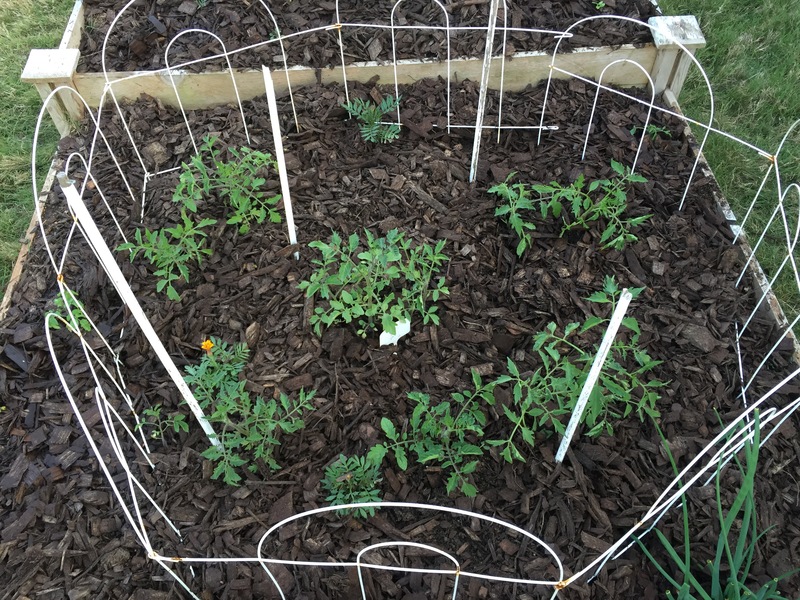 Three of the four beds I devote to veggies have tomatoes in them. I suppose when the peas and lettuce in the fourth bed are done, I could always transplant tomatoes to that bed, too. With any luck, I’ll be setting buckets of tomatoes on the curb this summer with “Free” signs on them. That would make me really happy. Really, really happy. Hey Julie! I hope you and the garden are doing well and that you are unaffected by all this rain and flooding. Miss you over at DirtNKids. You always added such value! I’m working up a post for sharing gardens (via pics). Would you be willing to post a photo of yours when I do? We have not been affected by the floods fortunately. And I apologize for my absence in the blogosphere. I was asked to manage daughter’s soccer team and that kept me busy. Hopefully it will let up for a few months. And yes, I would love to share a photo of my garden, or what is left of it. Just let me know what you need. Hope you’re staying (somewhat) dry.